Funny how things go: during the last movie I got the idea for the "Mine" Acrosstic when Elektra King ranted about the oil being "All MINE!!!". And now, the first scenes of the next Bong movie are all about mines of a completely different type. 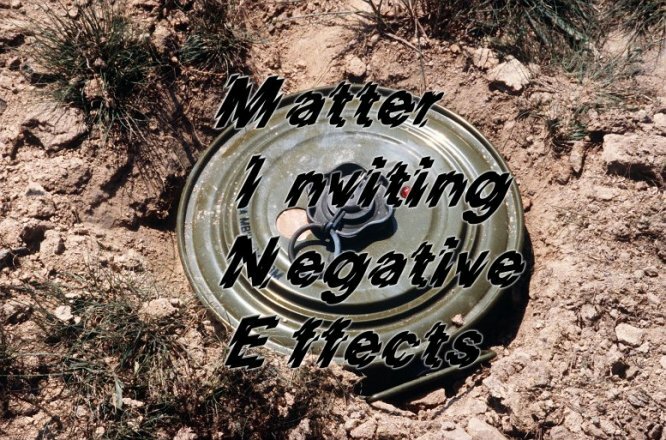 Still, both are forms of matter that invite negative effects. Clinging too much to the concept of "Mine" will quickly get us into a minefield of deteriorating effects, a downward spiral of Karma.